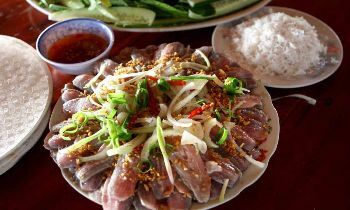 Phu Quoc is not only a tropical paradise to enjoy the sunlight but also the kitchen of southwestern region where you can find many delicious dishes. And a secret to make the great dishes here is tram mushroom. 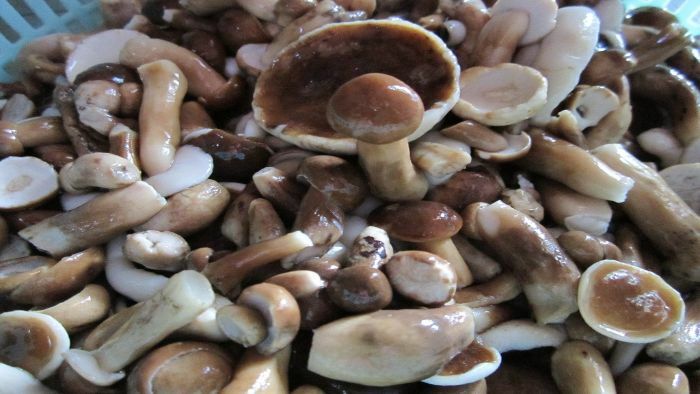 Tram mushroom is abundant in Phu Quoc island and it is a great ingredient to make numerous delicious dishes such as mushroom soup, chicken soup, catfish with mushroom, etc. Tram mushrooms only grow after the first rains in Melaleuca forests in Phu Quoc. The leaves and shells of melaleuca trees that fall into the ground of last season have started to turn into humus, which is the place for Tram mushroom to grow. Mushrooms are cherished in soil mulch, after the first rains, small round mushrooms with the size of the little finger start to reach out of ground. Tram mushrooms start to grow gradually and last for more than months then the season ends. Leaving the melaleuca forest, carrying the mushroom sacks, they stopped by the houses of the residents living nearby, re-divided some broilers and ready to borrow pots and stoves. The boiled chicken is just cooked, giving a freshly prepared mushroom. Pot of chicken broth becomes a mushroom soup. The whole crowd gathered and tore the chicken and salted chilli, chewed and had the fun talks. But the best thing is the cup of hot mushroom soup, the medium-sized mushrooms give the mouth a crispy, spongy feeling, the more you chew, the more bitterness is spread. Sipping the sweet soup with the smell of mushrooms and chicken, now the taste of the mushroom is clear, and the bitter is faded. It is this bitter taste that many people love the melaleuca mushroom. They eat mushrooms but do not drink water, so after the meal, there is an additional tea table as to enjoy the unique flavor of melaleuca mushrooms. 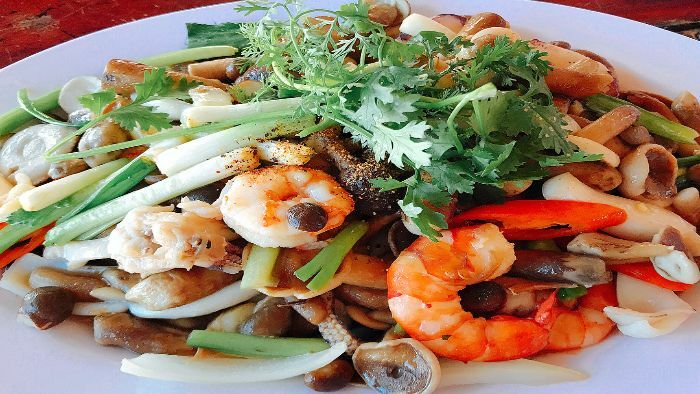 In Phu Quoc, Tram mushrooms are cooked with shrimp, squid, It is the popular dishes, every families in Phu Quoc have in the mushroom season. 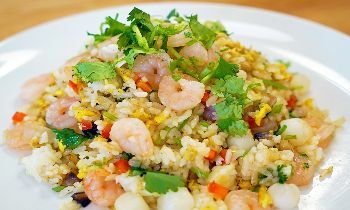 But if you are a gourmet, it is a good idea to make fish balls or catfish for meat making fish balls cooked with mushrooms. When preparing to eat, puting into the pot of boiling water some duck eggs, eating this way is also to enjoy a unique taste of Tram mushrooms. With many people Tram mushrooms is an indispensable ingredient in their cooking recipe. 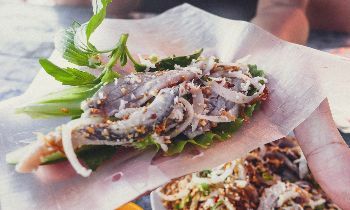 If you don’t have the opportunity to try the taste of this mushroom, you should give yourself a chance in Phu Quoc tour. Share this post if you feel it useful. Thank you!